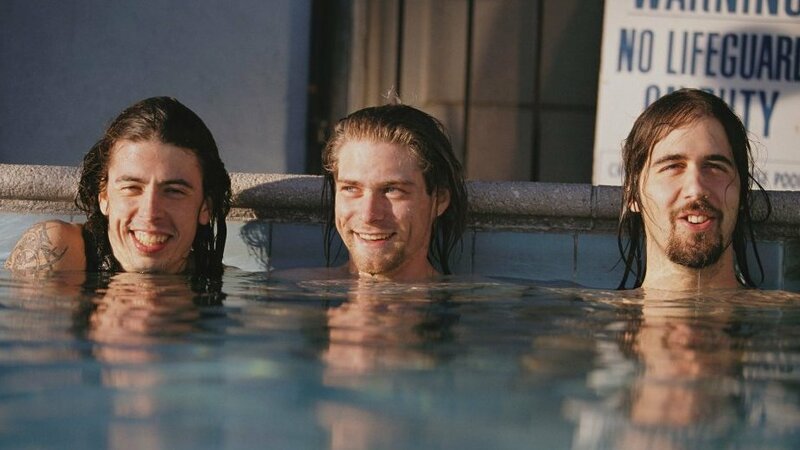 'Nevermind' At 20: Producer Butch Vig On Nirvana Vig looks back on a band eager to work and an artist struggling with his success. Nirvana (from left): Dave Grohl, Kurt Cobain and Krist Novoselic. Twenty years ago, it was hard to imagine a grunge album unseating Michael Jackson for the No. 1 position at the top of the Billboard charts, but that's what happened when Nirvana's Nevermind came out in September 1991. Since then, it has sold more than 30 million copies — which is certainly not what the album's co-producer, Butch Vig, was expecting. But Vig says he remembers that when he first met Nirvana, they were a band eager to work. "They were psyched," Vig says. "As I started talking to them, they told me they were ready. They had been rehearsing every day for three months. There was definitely not a slacker ethic in that band. I mean, they wanted to make a great record. And Kurt [Cobain] was very ambitious, you know. When they walked into the studio, they were ready to go." In the Morning Edition interview above with NPR's David Greene, Vig remembers his reaction to hearing the original boombox demos (now available on a reissued Nevermind box set), as well as Cobain's struggle with success. Vig also describes the immediate and lasting effect of "Smells Like Teen Spirit." "To me, 'Smells Like Teen Spirit' reminds me a little bit of how Bob Dylan's songs affected people in the '60s," Vig says.